880 people read this post. Together with the Munafiqin who did not join in The Battle of Tabuk, there were more than eighty people from the Ansar and an equal number from amongst the nomadic Arabs and a large number from the strangers. They themselves did not go and they encouraged others not to go as well. Ghazwah Tabuk – Ka’ab RA not going to war. Allah’s (reply to this was:) “Say, the fire of Jahannam is of more intense heat.” From amongst the Sahaabah , there were only three people who failed to join Nabi SAW. They were Muraarah bin Rabi, Hilal bin Umayyah and Ka’ab bin Malik . Muraarah had orchards of dates, laden with fruit. He convinced himself to stay behind saying: “I have taken part in all the battles so far. What possible harm would befall the Muslims, if I miss this one?” He feared the loss of the entire crop in his absence and this prevented him from going out. But when he realised his mistake, he gave away in charity the whole crop and garden also which had caused him to stay behind. Hadhrat Hilal’s case was different. Some of his family, who had been away for a long time, had just returned to Madinah. It was for their sake that he did not join the Battle. He had also participated in all the battles previously and thought (like Murarah ) that it would not matter much if he missed just that one battle. When he came to know of the seriousness of his mistake, he made up his mind to cut off all his connections with those relatives who had been the cause of this mistake. Hadhrat Ka’ab himself explains his story in detail, which is quoted in all books of Hadith. He says: “I had never been so well off financially as I was at the time of Tabuk. I had two she camels of my own which I never owned before. It was the habit of Nabi SAW that he never disclosed the destination of his battles, but he would keep on asking about the conditions elsewhere. But this time in view of the distance, the hot season and the strength of the enemy, he had declared his destination, so that proper preparations could be made. The number of the participants was so large that it was difficult to note down their names even, so much so, that those who were absent could hardly be noticed in the large crowd. The gardens of Madinah were full of fruit. I intended every morning to make preparation for the journey, but somehow or the other, the days passed by and I made no progress. I was satisfied that I had all the necessary means at my disposal and that I would be ready in no time if I did once decide to do so. I was still not yet decided when I learnt that Nabi SAW had left with his companions. The idea still played in my mind that I would take a day or two to get ready and overtake the group. This delay continued till the time for Nabi SAW arrival in Tabuk drew very near. I then tried to get ready but again, but somehow or the other, I did not do so. Now, when I came to look at the people left behind, I realized that there was no one in Madinah except those who had been condemned as Munaafiqeen or had been specially allowed to stay behind for certain reasons. Hadhrat Ka’ab says: “After a few days I heard the news of Nabi’s SAW return. I was struck with grief and remorse. One after the other, good excuses entered my mind and I was sure that I could escape Nabi SAW wrath with one of them for the time being, and later on pray for Allah’s forgiveness. I also sought the advice of the wise men of my family in this matter. The Fire of Hell is more intense than the heat of the desert. But when I knew that Nabi SAW had actually returned, I was convinced that nothing but the truth would save me. So I decided to speak out the plain truth. It was the noble habit of Nabi SAW that whenever he returned from a journey, he would first go to the masjid and perform two rakaat ‘Tahiyyatul Musjid’ and then stay there for a while to meet visitors. As he sat in the masjid, the Munaafiqeen came and gave their excuses taking oaths as to why they did not accompany him on the battle. He accepted their excuses entrusting the matter to Allah (.Just then I came and greeted him with ‘salaam’. He turned his face with a scornful smile. I begged him with the words: ‘O, Nabi of Allah! You turn your face from me. By Allah! Neither am I a Munaafiq, nor do I have the least doubt in my Iman.’ He asked me to come near and I did so. He then asked me: ‘What prevented you from coming with me? Had you not purchased the she camels? I replied: ‘O, Nabi of Allah, If I were dealing with a worldly man, then I am sure that I would escape his displeasure through (seemingly) reasonable excuses, for Allah has gifted me with the gift of speech. But in your case, I am sure that if I make a false statement, Allah would be displeased with me. On the other hand, I am sure that if I displease you by confessing the simple truth, then Allah would very soon make you happy with me. I, therefore, will speak the truth. By Allah, I had no excuse at all. I had never been so well to do as I was at that time.” Nabi SAW remarked: ‘He is speaking the truth.’ He then said to me: ‘You go away, Allah will decide about you.’ When I left the masjid, many people from my clan blamed me and scolded me saying, ‘Never before had you committed any wrong. It is a common rule that displeasure is shown where some love exists, and a scolding is given when there is hope for correction. A warning to a hopeless person would be a useless effort. 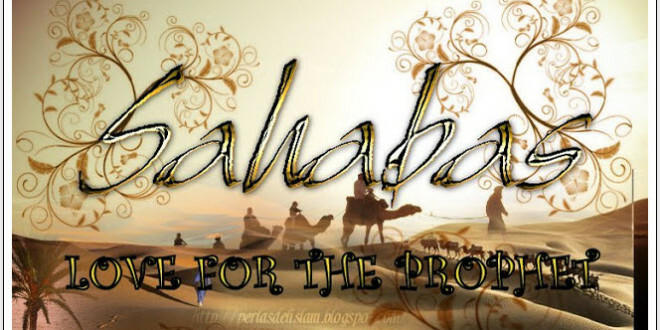 Hadhrat Ka’ab continues: “Under the instructions of Nabi SAW, the Sahabah completely boycotted us. Nobody was prepared to mix with or even speak to us. It seemed as if I was living in a strange land altogether. My own birth-place looked like a foreign land and my best friends behaved like strangers towards me. ‘The earth, vast as it is, was closing up on me’ (Al-Qur’aan IX: 113]. The thing that worried me most was that, if I died in this condition, Nabi SAW would not lead my Janaaza Salah and if Nabi SAW died in the meantime, I would be doomed forever, with no one to talk to me and with no one to make dua at my funeral. The other two companions of mine locked themselves in their houses. I was the most daring of the three, I would go to the market, and join the Jamaat for Salah, but nobody would talk to me. I would approach Nabi SAW and say, ‘Assa-lamo alaikum’ and would watch eagerly to see if his lips moved in reply. After Fardh, I used to complete the Salah by standing close to him, and I would look at him from the corner of my eye to learn if he ever cast a single glance at me. I noticed that when I was engaged in Salah he did look at me, but when I was out of it, he would turn his face away from me. Another ten days had passed and now our trial had lasted for a full fifty days. On the morning of the fiftieth day, I had performed my Fajar Salah and was sitting on the roof of my house stricken with grief. The earth had closed upon me and life had become miserable for me. I heard an announcer from over the top of mount Sula; ‘Glad tidings to you, O, Kaab.’ The moment I heard this, I fell on the ground in sajdah and tears of joy rolled down my cheeks, as I understood that our test was now over. In fact, after the Salah that morning, Nabi SAW had announced the Divine forgiveness for all three of us. At this, a person ran up to the top of the mountain and announced the forgiveness in a loud voice and this was the cry that had reached me. Thereafter, a rider came galloping to deliver the same happy news to me. The clothes that I was wearing were given away as a gift, to the messenger of glad tidings. I swear by Allah , that I had no other clothes in my possession at that time. I dressed up by borrowing clothes from some friend and went to Nabi SAW. As I entered the masjid, the people in the audience of Nabi SAW ran to congratulate me. Hadhrat Abu Talha was the first to approach me. He shook my hand with such warmth that I shall never forget. (1)The importance of striving in the path of Allah . Even those who had faithfully participated in every battle, had to bear the brunt of Nabi’s SAW anger when they failed to respond to Allah’s call, even though it was for the first time in their lives. (2) Their devotion and obedience to Nabi SAW. For full fifty days the whole Muslim community, including their nearest and dearest ones, would not speak to the three persons, in obedience to Nabi SAW orders. The three people themselves went most steadfastly through the suffering imposed on them. (3) Their strong faith. Hadhrat Ka’ab was so much perturbed when he received the letter from the Christian King, inciting him against Nabi SAW. His words and his action at that time are a testimony to the strong faith in his heart. Let us search our hearts and see how much devotion we have in fulfilling our obligations to Allah . Leaving aside Zakaat and Hajj, which involve the sacrifice of money, and taking the case of Salah alone, which is the most important pillar of Islam after Iman, how many of us are particular about it? Previous Can I stay naked when it is hot?